The work for establishing graduate assistant policies is not done yet! 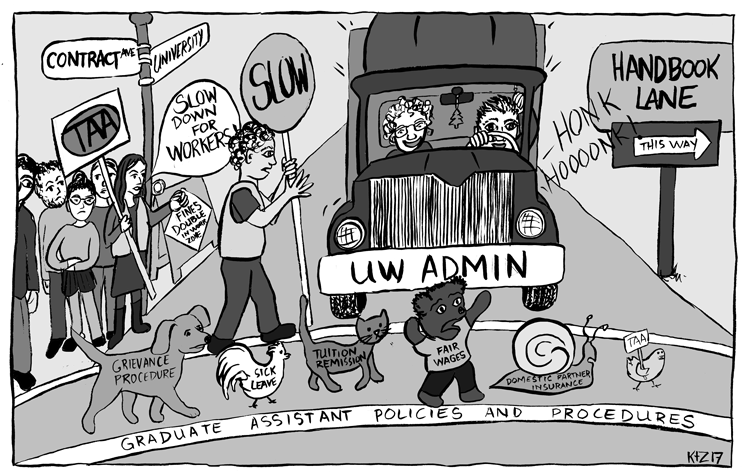 Over the last semester, members of the TAA sat across the table from UW administration and worked to transition our last collectively-bargained contract into a set of working principles to dictate graduate assistants’ working conditions. Join us for the first GAPP meeting of the Spring 2019 semester, where we will continue writing the policy that most directly affects your rights as a worker on campus.